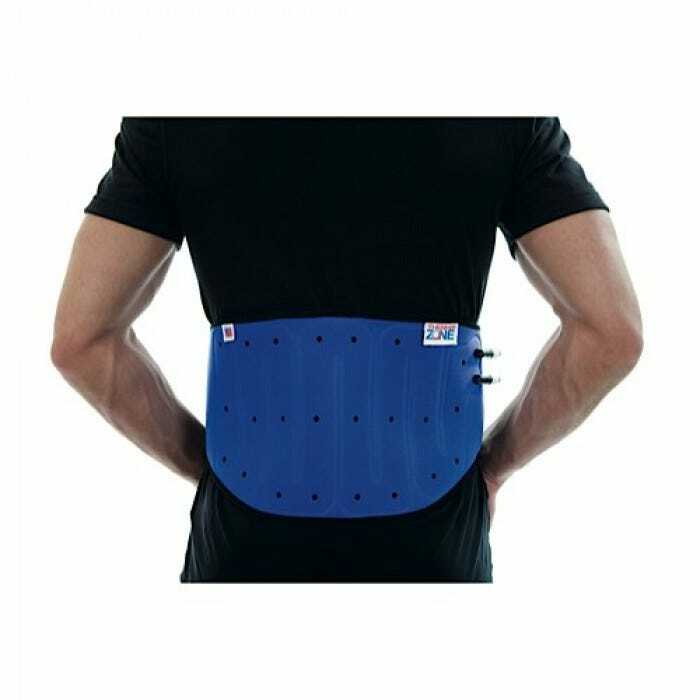 Powerful and practical pain relieving device that uses thermoelectric technology to provide heating and cooling therapy where and when you need it, without the use of ice. 20 patient controlled comfort levels to manage pain, reduce swelling and bruising, improve blood flow and promote healing for a faster recovery. 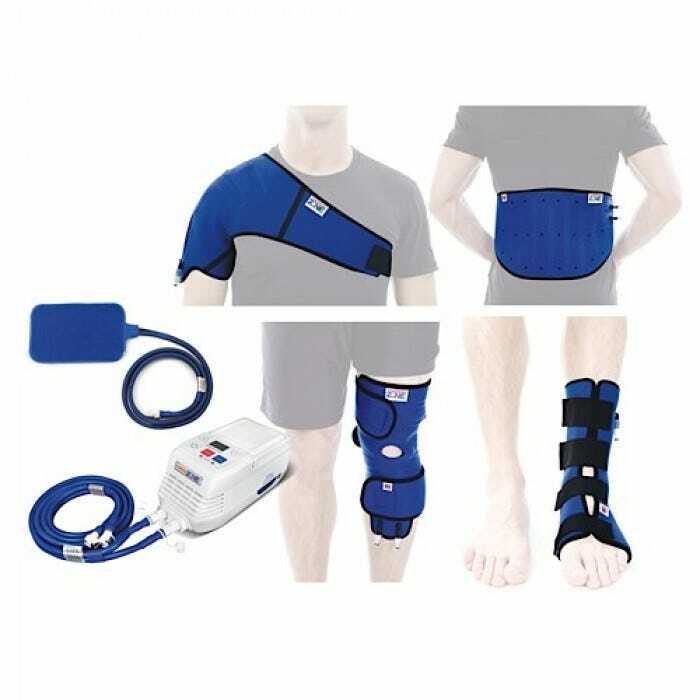 Introductory Packages Include: unit, power cord, and knee, back, ankle, and shoulder pad. 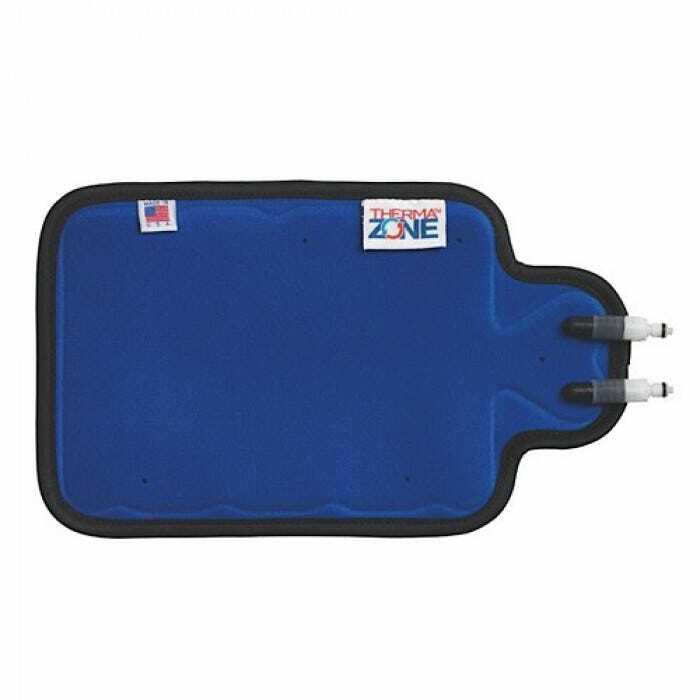 ThermaZone Relief Pads have the water delivery system welded directly into the pad for the perfect fit. Pads are made of a soft, flexible, latex-free neoprene for maximum comfort and are designed to meet the variability in patient shapes and sizes. 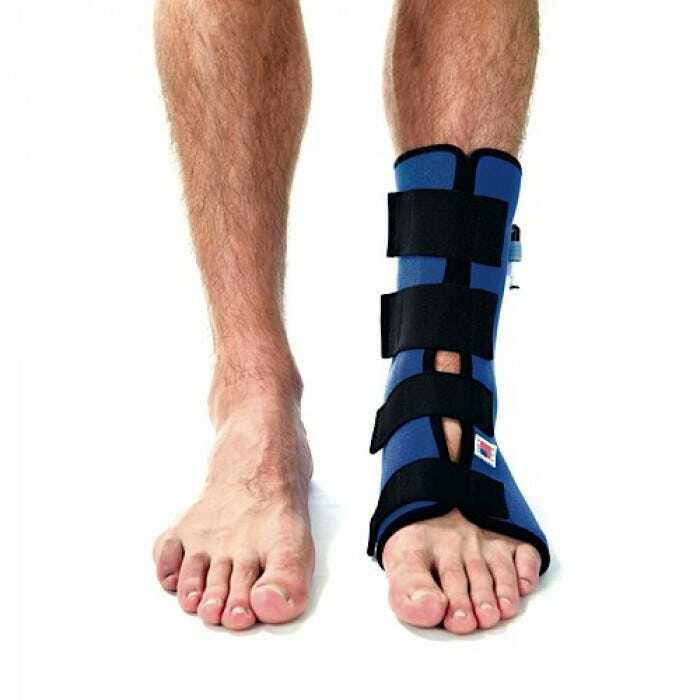 Designed by Orthopedic Surgeons, the ankle pad is designed to reduce bruising and swelling, especially after ankle or foot surgery. Reduces pain associated with acute or chronic injuries. 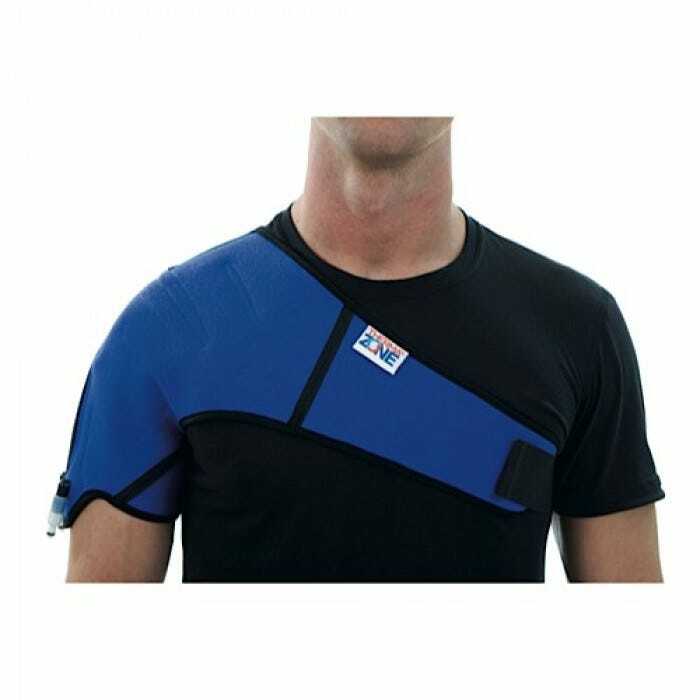 The shoulder relief pad straps on the shoulder provides comfortable therapeutic relief. 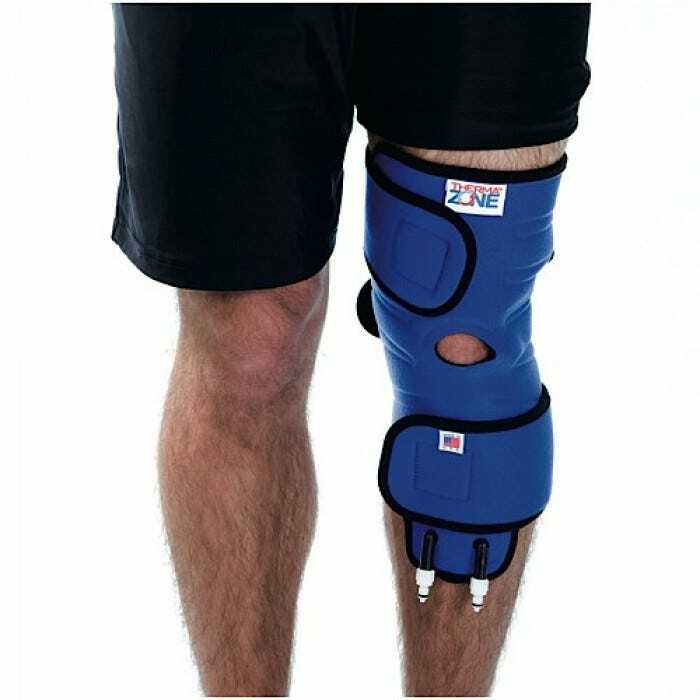 Prescribed by Orthopedic Surgeons to reduce bruising and swelling that may occur after knee surgery. Great for localized relief on any area of the body. Comes with Velcro straps for securing in place. Cryotherapy is proven to reduce bleeding, swelling and bruising and improve range of motion. *Temperature based on ambient temperature of 72°F. Temperature will increase or decrease based on changes in ambient temperature. Q. How long can I run the machine continuously? A. The machine has been durability tested to operate up to 500 hours continuously. Q. Do all of the pads reach the same temperatures for both Heat and Cool? A. The ultimate temperature of the pads depends on a few factors, including the ambient temperature in the room where the device is operated, the temperature of the skin on which it is placed, and the size of the relief pad used. It is important to note that the temperature in heat mode will not exceed 125 degrees. This maximum temperature is regulated by a safety switch inside the control panel of the device. Q. Is this product safe to use on all ages? A. No, ThermaZone should not be used on children age 6 and younger unless under the supervision of a physician. Q. Which types of electrical outlets can I use to power my ThermaZone? A. For wall outlets, ThermaZone can be powered on using standard grounded 120V North American Receptacle (NEMA5-15R) outlets. 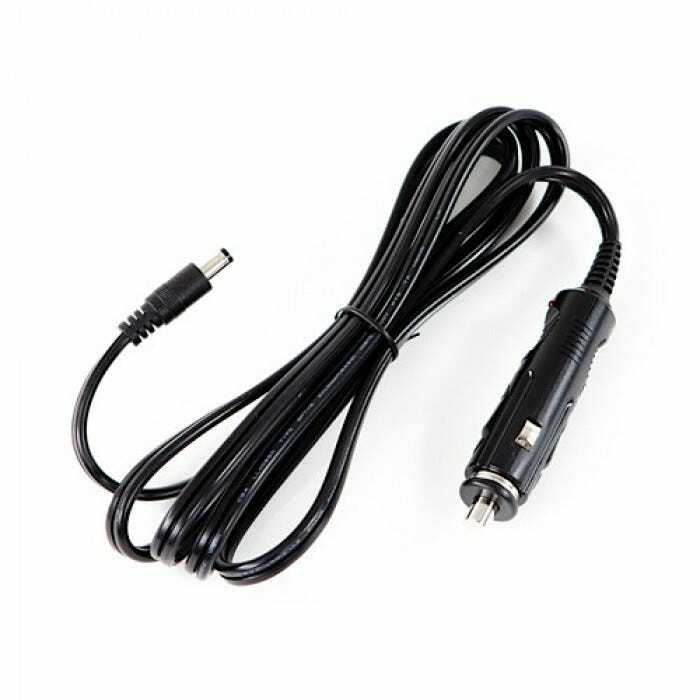 For automobiles, you can use the specially designed ThermaZone Car Charger in 12V standard cigarette lighter receptacles. Q: What codes are assigned to the ThermaZone Thermal Treatment System? A: Approved codes assigned for the ThermaZone device and accessories include E0217, E0218, E0249, and A9900. This information is shared for informational and educational purposes only. At ThermaZone, we believe this information to be correct and we respect that coding is the sole responsibility of the provider. Q. Are all of the pads compatible with the main ThermaZone unit? A. Yes, all of the ThermaZone pads are compatible with the main unit. Q. Does it matter what kind of water I use in my ThermaZone? A. Yes, distilled water is the only liquid you should use in your ThermaZone. Tap, filtered, or bottled water has many types of suspended pollutants, microscopic chemicals, toxins and other contaminates which can harm the machine. Filling the machine with anything but distilled water will void the warranty on the unit. Q. What temperature should the water be when I fill my ThermaZone? A. Room temperature is typical, but because of the nature of the heating and cooling device, any temperature of water will be acceptable. Q. How often do I need to fill the device with distilled water? A. You only need to fill the device with distilled water during the setup process. Depending on how many different pads you use, the number of times you fill the device may vary. The first time you use your ThermaZone – You will need to fill your device with distilled water once before you turn it on, then again after the initial supply of water has been pumped into the attached pad and until the water level settles between the Min and Max levels. Each time you use a new pad (for the first time only), you will need to refill the device with distilled water because the water in the reservoir will be pumped into the new pad (which is shipped without water). Again, you will need to fill the device until the water level settles between the Min and Max levels. Q. What if I overfill the device with distilled water? A. If too much water is poured into the device and the water level is above the Max fill line, you can either absorb the excess water in the reservoir with a paper towel, or tip the device slightly and pour some of the water out. Before you operate the device, make sure the water level is between the Min and Max level. Q. Where is a good place to store the machine? A. It is recommended that after usage, the machine is stored in a dry, clean area which is kept at room temperature (approximately 72°F). Completely seal the black rubber fill cap before storing to prevent any debris from entering into the machine. Store the unit flat so the device doesn't tip over and have the potential to leak. Q. Do I have to empty the water from the machine or the pads after use or before storing? A. NO. One of the advantages of the ThermaZone unit is that after the initial set-up process, there is no need to fill the device with distilled water before each use. The water remains inside the unit and inside the relief pads during storage, therefore making the device readily available for the next use. Q. Is it ok for my ThermaZone if I go back and forth from HEAT to COOL and from COOL to HEAT? A. Yes, ThermaZone is built to provide contrast therapy (HEAT and COOL). It will take a few minutes for ThermaZone to switch from one therapeutic mode to the next, as the device needs time to protect the heating and cooling element before switching modes. A countdown timer will appear in the display window and count backwards to 0 before switching to alternate mode. Q. Can ThermaZone be used in a vehicle? A. 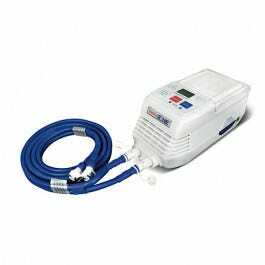 Yes, ThermaZone can be used in a vehicle with the specially designed ThermaZone AC vehicle adapter. Using ThermaZone with any other type of vehicle adapter will result in a voiding of the warranty. While a vehicle is in operation, ThermaZone can be used by passengers. Under no circumstances should anyone use ThermaZone while driving or operating a vehicle. Because the vehicle adapter is running off the car's alternator or battery, the operation of the ThermaZone unit is dependent on the type of car and the strength of the battery in that car. Q. Do the pads come with a warranty? A. All ThermaZone pads come with a Limited 90 day warranty. Consult with your ThermaZone instruction manual for a full description of the warranty coverage. Q. Does the power supply come with a warranty? A. 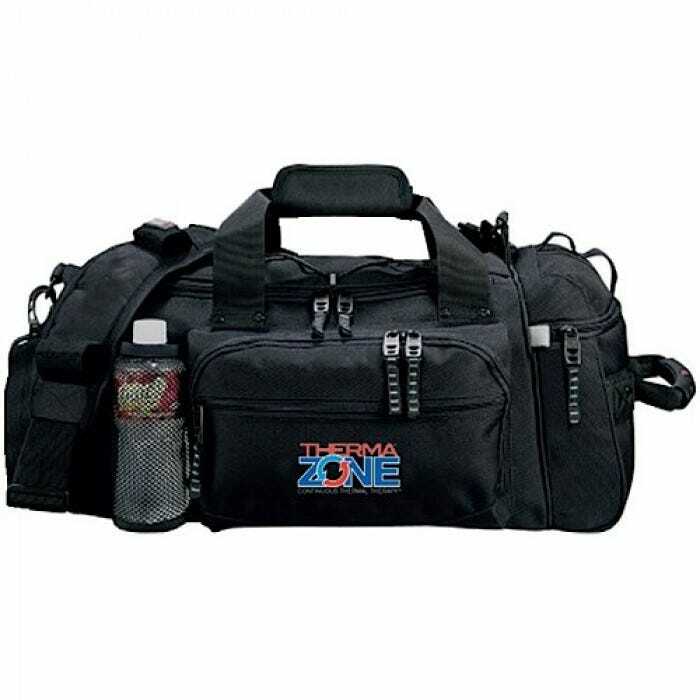 The ThermaZone unit and power supply come with a Limited 6 month warranty. Consult with the ThermaZone instruction manual for a full description of the warranty coverage. "I cannot begin to tell you what a difference this device has made in my daily treatment routine. It has MORE than paid for itself in a few short months. The ThermaZone device has been a GOD - send!" "The heat of the device really allowed the muscles back there to just relax and unclench. 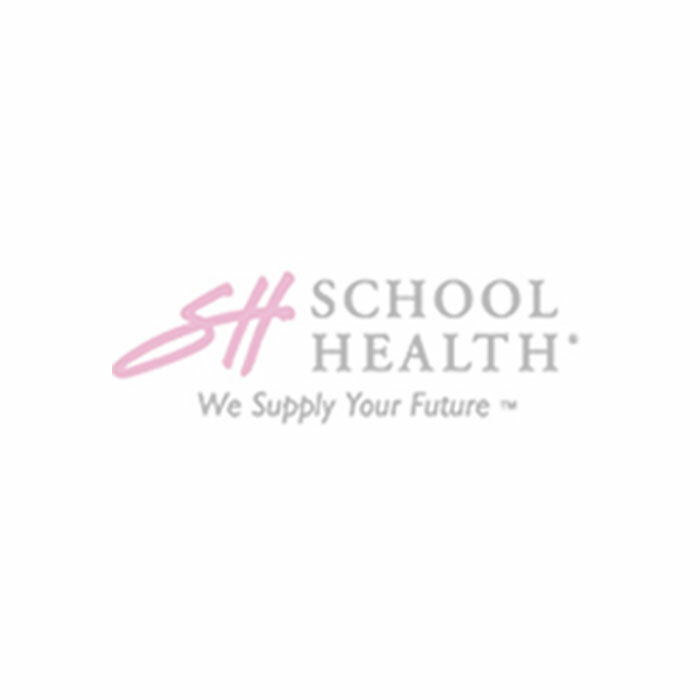 I was astonished at the assistance that device gave me." "It was great, it was fabulous, having the machine there at home, ready to use, plugged in, all you have to do its put the pad on, and just kick back, and then knowing within 30 minutes there is going to be some relief is just wonderful!"